Join us for our Community Challah Bake. Proceeds to benefit Maccabi Tzair scholarships. 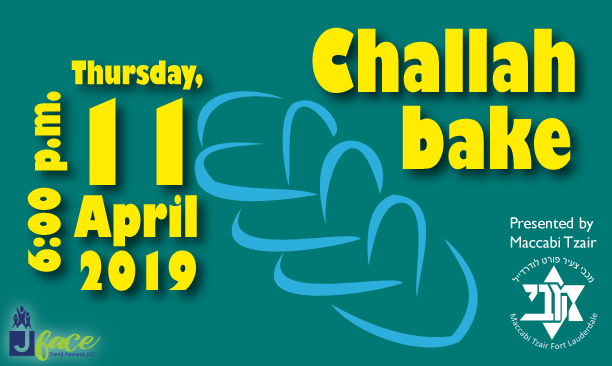 Thursday, April 11, 2019 | 6:00 p.m.
*All children will be in the Orlove. All reservations must be paid by April 8, 2019. After April 8 online ticket sales will close. Tickets may be purchased via phone or at the door and the tickets will be $30 for Adults and $25 for Kids.